The Penguin Patch store will be open from December 7-14 for students to buy small gifts for their families. 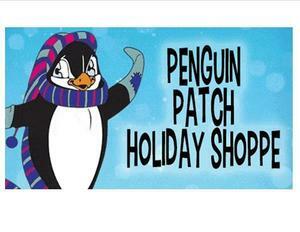 The Penguin Patch store will be open from December 7-14 for students to buy small gifts for their families. Please send your child with a list of people to buy for.